The Alberta government is putting $70 million toward almost a dozen private industry projects aimed at cutting greenhouse gas emissions. The Alberta government is putting $70 million toward almost a dozen private-sector industry projects aimed at cutting greenhouse gas emissions. The funding through the province's Climate Leadership Plan will leverage more than $200 million in private investment in 11 Alberta projects worth a combined project value of $276 million, the government announced Wednesday in Calgary. Projects were selected through Emissions Reduction Alberta (ERA), which started taking applications last summer from companies in the biotechnology, electricity and sustainable transportation industries to come up with cleaner technology projects. "Albertans know that our economy and our environment go hand-in-hand. These innovative technologies will help our major industries reduce emissions while also creating jobs, cutting costs and making them more competitive in global markets," said Environment Minister Shannon Phillips in a news release. 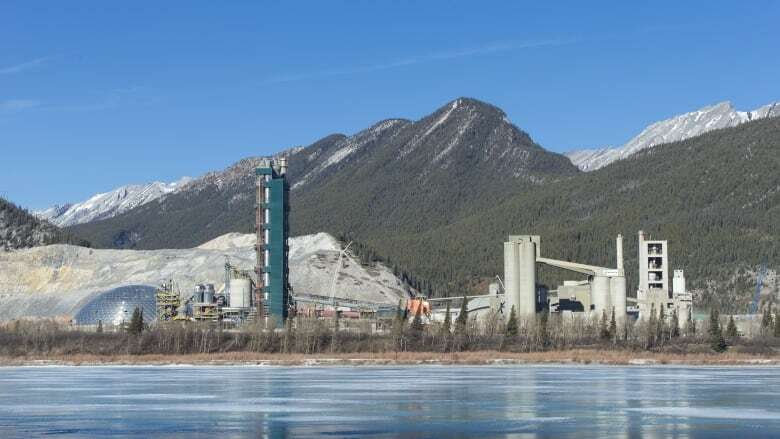 The Lafarge Canada cement plant in Exshaw will use its share of the funding on an emissions reductions project. "The Exshaw low carbon fuels project will go a long way in helping us reach our ambitious corporate goal to produce 40 per cent less net CO2 per tonne of cement by 2030," said plant manager Kate Strachan. "This support from ERA helps us move this project forward. We hope that any positive results or lessons learned will encourage others in our industry to do the same, giving this investment a greater, far-reaching impact." Imperial Oil Limited — Kearl ConDex flue gas heat and water recovery project. Lafarge Canada — lower carbon fuels project. Suncor Energy Inc. Oil Sands — digital optimization using advanced process control in an in-situ facility. TransCanada Energy — supercritical CO2 waste heat recovery and utilization technology. TAQA North Ltd. — Crossfield gas plant energy efficiency and GHG reduction project. ConocoPhillips Canada — field pilot of multilateral well technology to reduce GHG intensity of steam-assisted gravity drainage (SAGD). Alberta-Pacific Forest Industries Inc. — kraft pulp mill flue gas energy recovery project. Repsol Oil and Gas Canada — demonstration of the transition from hydrocarbons to inert gas technology for gas blanketing and purge in the gas processing industry. Athabasca Oil Corporation — energy intensity reduction through flow control devices and non-combustible gas. Energreen Solutions — Strathcona works - waste heat to power project. Enmax Generation Portfolio Inc. — Crossfield energy centre hybrid fuel project. The province says the 11 projects are anticipated to eliminate more than 5.3 million tonnes of CO2 by 2030 — the equivalent of bringing more than 1,300 wind turbines online.